If you are noticing more hair in the sink when you wash your hair or more hair on your brush than normal, you may have a problem with your thyroid. 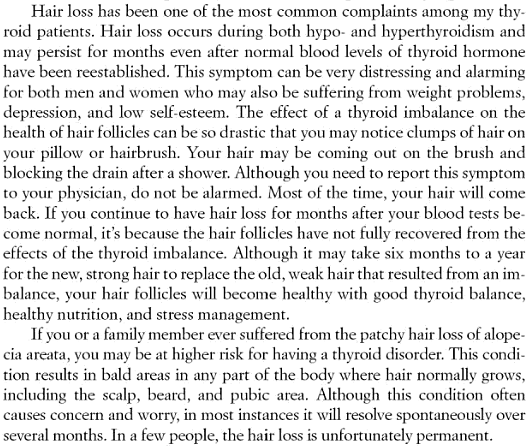 That is because there is a connection between the condition of your thyroid and hair loss. 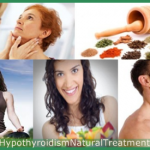 To help you to work out whether your hair loss could be due to hypothyroidism, which is an underactive thyroid, read on. The first thing to say is that hair loss is normal. Everyone loses hair, and it happens every day. The hair on your body is constantly being renewed. Each adult’s hair renewal rate varies, but typically, each hair is replaced every 3.5 years. Each hair follicle has a slightly different cycle to make sure that the renewal cycle does not happen all at once. If every hair follicle had the exact same cycle, every 3 years or so you would end up completely bald. For this reason, the timing of the cycle for each hair follicle is set when you are a baby and is staggered. You know the rate at which you lose hair. 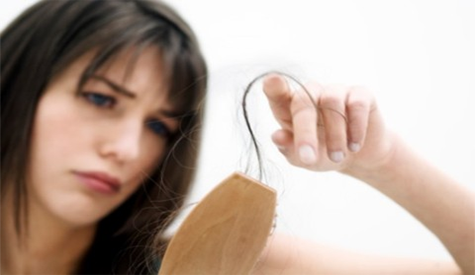 To recognize excessive hair loss all you need to do is to look for more hair falling out during grooming. Natural hair loss should not alarm or worry you. However, if you notice your hair loss accelerating you need to be aware of it and begin to look for the underlying causes. Thinning hair is normal. Around 50% of adults notice that their hair is thinner by the age of 40. This happens because, over time, hair follicles become damaged and new hair does not grow back, or it grows back far more slowly. It is normal not to have such a thick head of hair, as you get older. However, that thinning should happen gradually. If you notice your hair going thin in the course of a month or two your hair loss could be a symptom of an underactive thyroid. The rate at which hair is lost can be affected by hormonal changes in your body, which is why accelerated hair loss can be a sign of an underlying illness or disease. If you have hypothyroidism, your body may begin to convert testosterone on your scalp to DHT. Dihydrotestosterone or DHT on the scalp attacks the hair follicles. It effectively shrinks the hair follicles making hair re-growth slow or stops completely. It also causes hairs to fall out faster. 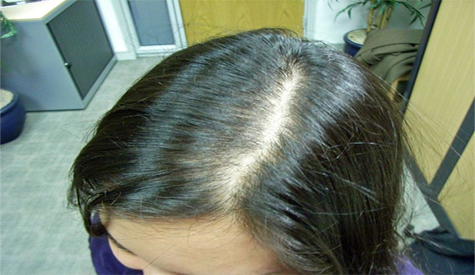 When enough hair follicles are affected, the person’s hair looks thinner. 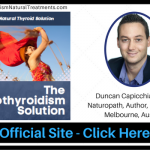 In people suffering from hyperthyroidism or hypothyroidism the production of DHT accelerates, which is why hair loss is a common side effect of thyroid problems. These hormonal changes can also affect the texture and quality of the remaining hair or any re-growth. Often the hair becomes dry, dull and brittle, and no amount of conditioner will revive the hair. With thyroid related hair loss eyebrows can also be affected. Some people lose hairs from the outer edges of their eyebrow. If you notice that your eyebrows are thinning in particular along the outer edges look for other symptoms of thyroid issues. 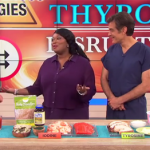 Also, look for the other signs of an abnormal thyroid. 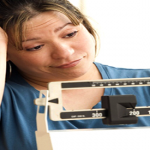 Common symptoms include unexplained weight loss or gain, lethargy and tiredness. Some people complain that they cannot think straight. They find that their thought processes are muzzy or that they feel like they have brain fog. 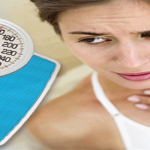 Less common symptoms include sweatiness and unexplained changes in heart rate. Hair loss is such a common warning sign of thyroid problems that often it is a person’s hairdresser that tells them they may need to see a doctor. 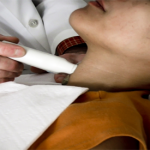 In most countries, hairdressers are trained to look out for the signs of thyroid problems in their customers. However, this does not mean you should leave this up to your hairdresser. 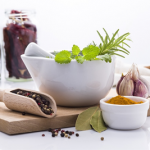 You need to keep an eye on the health of your hair as well, because unhealthy hair is often a sign of underlying health issues that can affect the rest of the body. 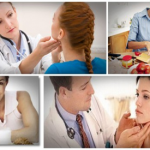 Usually, your doctor will treat your thyroid with iodine or other thyroid medication. In time, this may slow the hair loss. 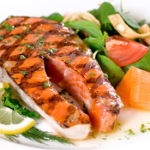 However, some people continue to lose hair even after thyroid treatment has begun. When my doctor prescribed the NatureThroid, it didn’t take very long for my hair loss to slow down. My doctor stopped treating me with NatureThroid because of the heart palpitation. 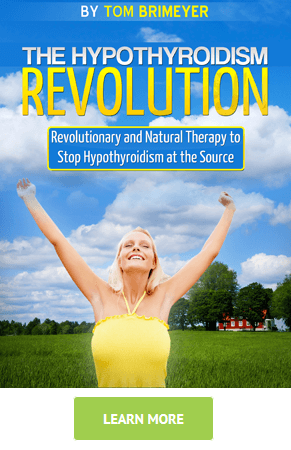 With his approval I switched to Hypothyroidism Revolution diet program — and I found very few hair on our bathroom floor.